A biopic on Bangabandhu Sheikh Mujibur Rahman will be made at the joint initiative of both India and Bangladesh. As per a report published on Friday by Sputnik International India had proposed the names of three top directors of the country Goutam Ghose, Shyam Benegal and Kaushik Ganguly but the government of neighbouring Bangladesh decided to make the biopic under the direction of Shyam Benegal. According to the report, as per the joint venture initiative of Bangladesh and India, a three-member panel of experts would cooperate with filmmaker Shyam Benegal. Minister Halim also informed that the members of the panel comprise a film expert, a person who knows Bangabandhu’s life and works and a historian. Bangabandhu Sheikh Mujibur Rahman is the founding father of the People’s Republic of Bangladesh. 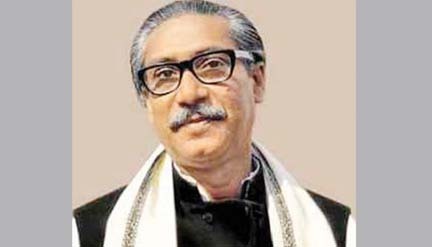 Bangabandhu, who was the first President of Bangladesh, also served later as Prime Minister of Bangladesh from March 1971 until he was assassinated in August 1975. The pact to jointly produce a feature film based on the life and works of Bangabandhu and a documentary of Bangladesh’s liberation war were signed by the two nations last year.